If you were at home with your three-year-old daughter enjoying a game of arcade classic Donkey Kong and she suddenly says she wants to swap the character roles and have Pauline rescue Mario instead, you might quietly explain that the game didn’t have that particular option and so Mario it’d have to be. Mike Mika, on the other hand, saw it as the perfect opportunity to flex his hacker muscles and so set to work rejigging the game to please his toddler. 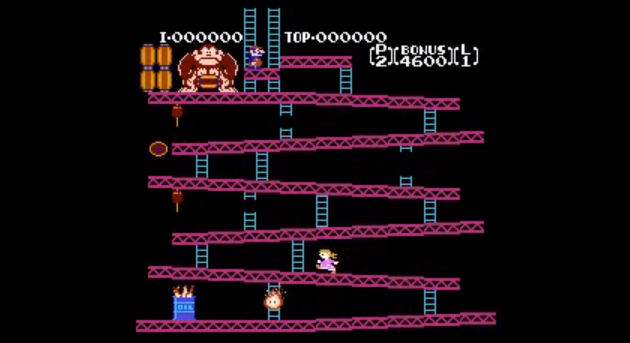 “My three year old daughter and I play a lot of old games together,” Mika wrote in a post on YouTube showing his new version (below) of the hacked Donkey Kong game. Mika explained that his daughter sometimes plays as Princess Toadstool in Super Mario Bros. 2 and so she understandably assumed she’d be able to play as Pauline in her current favorite game, Donkey Kong. He told her it wasn’t possible. The awesome dad said he used the 2010 NES Donkey Kong ROM, redrawing Mario’s frames and swapping the palettes in the ROM. He also replaced the M at the top with a P for Pauline. The result? One overjoyed daughter, of course. The story is similar to one from last year when game developer and dad Mike Hoye hacked Nintendo’s The Legend of Zelda: The Wind Waker to swap all the male references in the game to female so he could more easily read aloud the on-screen dialog to his daughter, Maya, and allow her to play as a female protagonist.